Happy Friday everyone! Here is the news on this lovely sunny day (at least, sunny in the UK. Rain tomorrow… boo). 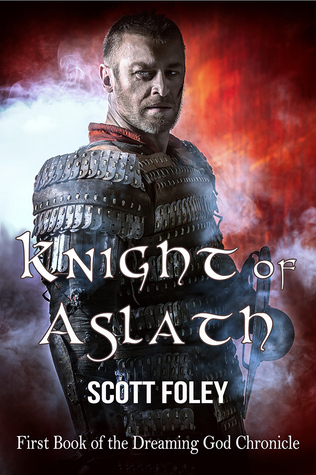 My fantasy novel Knight of Aslath will be released on 17th July 2015. 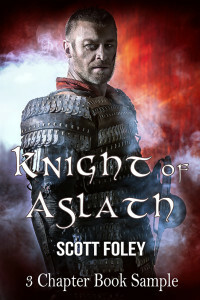 I will blog again very soon to confirm the various places where you can buy the book. If you can’t wait until July, or fancy finding out what all the fuss is about, sign up for my newsletter and you now get a free copy of the first 3 chapters. You can download a version in MOBI, EPUB or PDF format. In the newsletter I will also feature exclusive offers and competitions including a special launch competition. That’s all for now folks, have a great weekend.